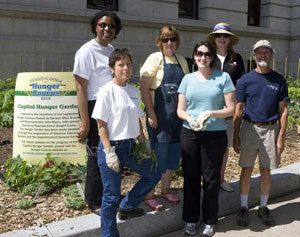 The Capitol Hunger Garden continues to succeed largely due to the number of individuals, businesses and organizations which provide supplies, financial resources and volunteer hours. In addition to volunteers, the Master Gardeners of Penn State Extension come to the Garden to work side by side with the volunteers to help harvest the produce and provide a teaching tool to those of every age. 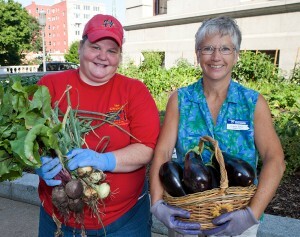 If you would like to help volunteer at the Capitol Hunger Garden please complete the form below and you will be contacted by Senator Scarnati’s office or you can call the office at 717-787-7084.